She arrived a little late, apologising at every opportunity. Cielda Pereira at my first meeting with her was far from my expectations of a famous singer; a demure, modest and down to earth person, so simple in her approach to life. 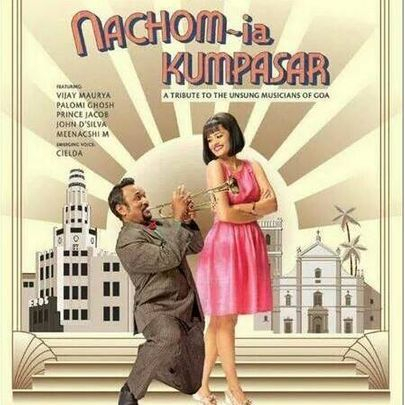 One would have expected a few airs thrown about following the stupendous success of the Konkani film Nachom-ia Kumpasar, but there was to be none of that. Cielda’s earliest memory of singing is at the age of three in school, rendering My Bonnie Lies Over the Ocean. From then on she always found herself participating in some sort of singing activity or the other be it the mando, patriotic songs, group or solo singing. A student of Chowgule College, she competed in Voice of Chowgule’s without success at her first attempt. However, her participation in the next three years saw her take the title every single time. ‘Everybody knows me for Nachom-ia Kumpasar but I had already participated in Kingfisher Voice of Goa (2013) before that,’ says the second runner-up of the competition. Nachom-ia Kumpasar happened more by accident when she accompanied an actor friend to the auditions in 2012. The auditioning for singers was going on at the same time and so Cielda joined in and was selected, much to her glee. The final recording for the songs was done in Mumbai. While the release of the movie in December 2014 saw her shoot to fame like a star, she had already earned accolades, winning Herald’s Goencho Avaz earlier in the same year. Cielda is all praise for Ronnie Monserrate who, having worked with Chris Perry, understood the musical genius of the man perfectly and maintained that 60s ambience of the music by having the songs recorded in mono. Cielda met with Palomi Ghosh and found her to be similar in demeanour to herself: humble and friendly. This meeting was a crucial one to establish a bond of understanding between actor and songstress so that the two could work in synchronisation; Palomi with the appropriate acting and Cielda with the right expressions emanating through her voice. Palomi has lent her voice to three of the movie’s songs. 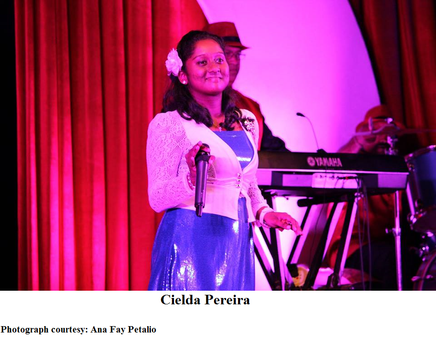 Cielda believes this was done to let the actor, who is blessed with an excellent voice, showcase her talent.